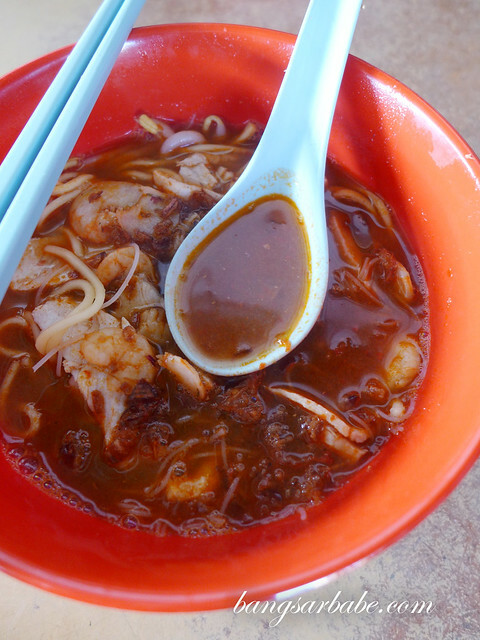 Prawn mee was never something I enjoyed until of late when a friend got me hooked on finding the best there was out there. 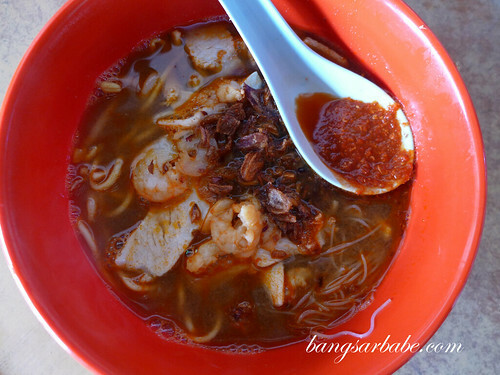 Prawn mee or better known as Penang Hokkien Mee is a dish of noodles in stock made from prawn heads, shrimp and pork ribs. 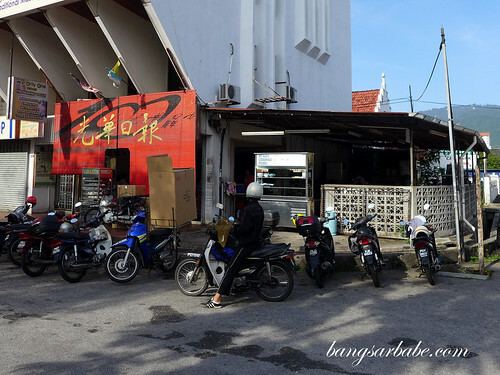 My recent prawn mee discovery was at this corner shop along Jalan Perak called Classic Coffeeshop, opposite the Padang Brown food court. 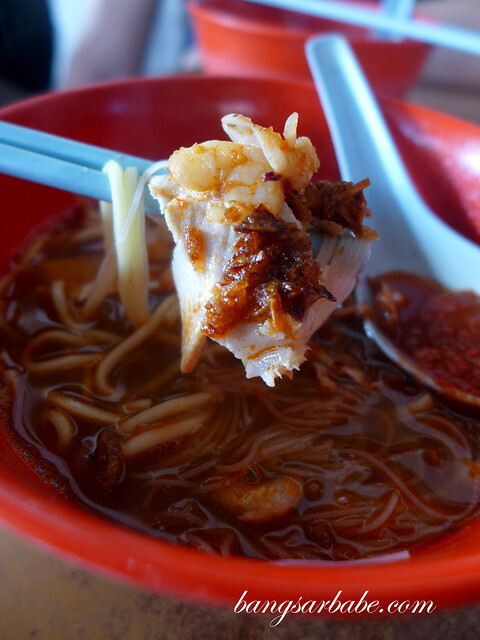 The stall opens at 8am but it’s best to get there before 9.30am to avoid disappointment – my friend who recommended this place mentioned the noodles are sold out by then. 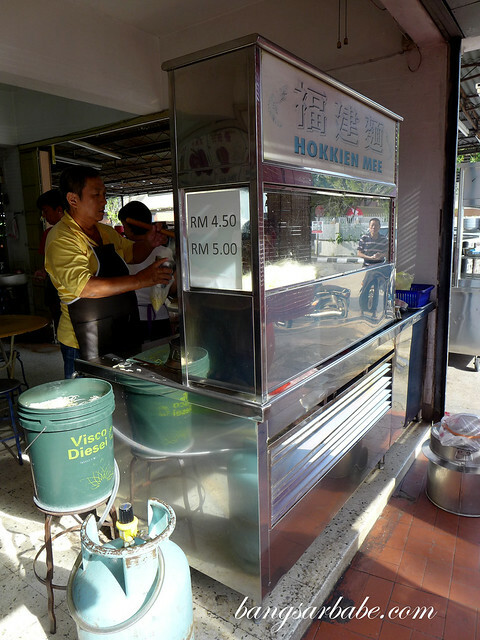 For the uninitiated, only Hokkien Mee is served at this coffeeshop. Depending on the crowd, expect to wait between 15-20 minutes for your turn. But the wait is worth it I tell you. The noodles were good stuff. Each bowl comes with pork slice, shrimp, fried shallot and a spoon of chilli paste. 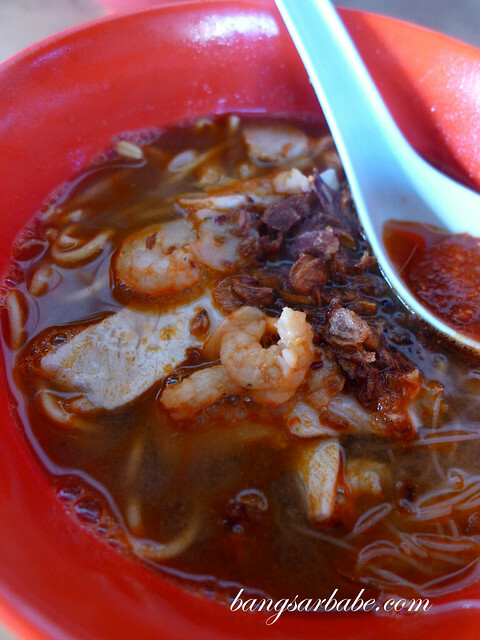 Verdict: Best prawn mee I’ve eaten in Penang Island, thus far.